The Little Mozart course centers on the adventures of Beethoven Bear and Mozart Mouse as they learn about music. Carolyne will bring along the two character plush animals as an added means of making the piano fun for your child. 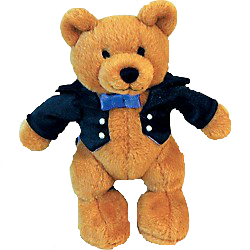 Beethoven Bear is an inquisitive toy who lives in a big house with two children, plus their toys. According to the little bear, the most wonderful thing in the whole house is the piano. He and his friend Mozart Mouse like to hop on the keys and make beautiful sounds. Beethoven likes low sounds best. 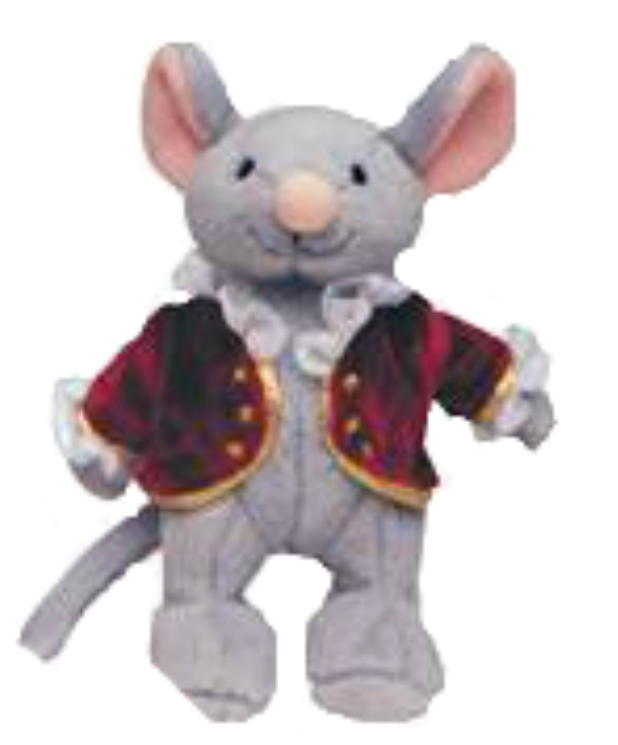 Mozart Mouse is an adventurous toy mouse who explores the children's Music Room with Beethoven Bear and other toys from the playroom. He likes the piano's high sounds best, saying "I find them quite refreshing!" He is a quick learner who composes beautiful music and enjoys performing at concerts.